Root chalice that breaks multiple labyrinth seals." "Root chalices, used in rituals to break old labyrinth seals, are said to change the labyrinth's form each time." 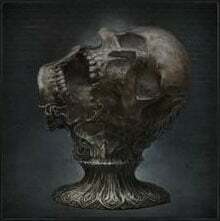 Ailing Loran Root Chalice is a Chalice Item in Bloodborne. Combining the Materials listed below in the Chalice will create a Chalice Dungeon. You must be at the Tomb Altar in Hunter's Dream to do this. This dungeon randomizes the Bosses, layout and loot. On layer 4 I had Pthumerian Elder as the boss has anyone else had him show up in this Chalice? Anyone run into an issue of layer 4 being created but is inaccessible in this root dungeon? Accidentally fell off a bridge and discovered layer 4 as I died while on layer 3, but no way to proceed is available after beating the layer 3 boss. Any suggestions as to what I can do in this situation? cpmyucym for the Lost Rifle Spear is false. "Loran Silverbeast" needs to be added to the list of potential bosses for this dungeon. Glyph: 2mqkc4cv Ailing Loran root chalice. both offerings. Uncanny beast claw and lost rifle spear in layer 1, lost hunter axe in layer 2 (I think) and uncanny tonitrus in layer 3. Is it possible to get the uncanny burial blade from this dungeon? I just started this dungeon with both Rotted and Foetid offerings and it is FILLED with NPC hunters. There&apos;s one in almost every room in seems. Is it because of the offerings or is this dungeon usually like this?